Many men will find themselves facing the trauma of being given a prostate cancer diagnosis. This disease, while often slow-moving, can become serious and life-threatening if it starts to spread to other areas of the body outside of the prostate. And here lies a problem: prostate cancer patients are left to decide if they should suffer the adverse effects of cancer therapy or if they should wait and hope that the disease will never progress into something that will put their well-being and life into jeopardy. There is one way to deal with this complex decision, and that is to investigate natural cancer therapies. Natural cancer therapies could be used to slow the progression of prostate cancer without causing any harmful side effects. One such natural therapy has been in the spotlight of late: grape seed extract. A recently completed study has found that grape seed extract contains a compound that kills off prostate cancer cells. The study was published in the journal Nutrition and Cancer and was conducted by researchers at the University of Colorado Cancer Center. The research team analyzed grape seed extract and its effectiveness against cancer over a 10-year period. They found that a naturally occurring compound named B2G2 induced apoptosis in human prostate cancer cells and is the most active anti-cancer compound in grape seed extract. The researchers were also able to show that B2G2 left healthy cells intact and unharmed. By isolating and synthesizing B2G2, the researchers hope they can perform more studies that prove the effectiveness of the pure compound. In another study, researchers from the College of Life Sciences and Biotechnology in Seoul also tested grape seed extract as an anti-prostate agent. They noted that changes in a process called histone acetylation are associated with cancer. Therefore, they concluded, anything that could manipulate acetylation should have a protective effect as far as cancer cell growth goes. 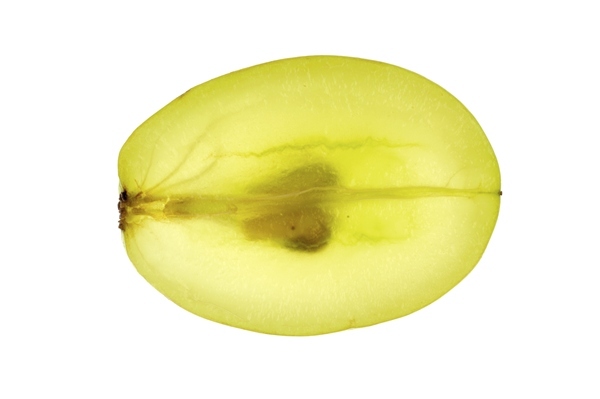 They subsequently found that grape seed extract inhibited histone acetylation by as much as 80%! The researchers concluded that their results prove that grape seed extract inhibits histone acetylation leading to a decrease in cancer cell growth. They suggest that grape seed extract be used as a therapeutic treatment against prostate cancer. A dose has not been established yet for the therapeutic use of grape seed extract. Doses in studies range anywhere from 150 milligrams to 200 mg. The highest safe dose has not been established. Grape seed extract is generally considered safe. There have been some rare reported incidences of headaches or nausea when taking the extract. Anyone who is allergic to grapes should obviously not take the extract. Look for grape seed extract at your local natural health pharmacy. Talk to a healthcare provider before you take any alternative medicines to make sure they won’t interact with any medications you are currently taking. Some interactions involving grape seed extract and other drugs include: blood thinning drugs, NSAIDS and certain heart meds. Whiteman, H., “Compound in grape seed extract kills prostate cancer cells,” Medical News Today web site, Dec. 8, 2013; http://www.medicalnewstoday.com/articles/269775.php, last accessed Dec. 10, 2013. Park, S.Y., et al., “Grape seed extract regulates androgen receptor-mediated transcription in prostate cancer cells through potent anti-histone acetyltransferase activity,” J Med Food. Jan-Feb 2011; 14(1-2): 9-16. Tyagi, A., et al., “Procyanidin B2 3,3″-di-O-gallate, a Biologically Active Constituent of Grape Seed Extract, Induces Apoptosis in Human Prostate Cancer Cells Via Targeting NF-κB, Stat3, and AP1 Transcription Factors,” Nutr Cancer. November 5, 2013.